Ms. Irit Israeli is a Registered Social Worker with over 10 years of experience in counselling individuals, couples, and families. She holds a master’s degree in Social Work from York University. 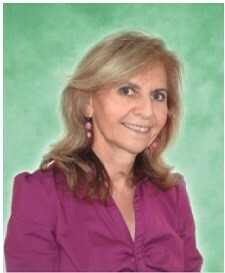 Irit is a member of OCSWSSW, a certified EMDR therapist, a member of EMDR Canada, and a member of EMDR International. Her areas of specialization are: Trauma, Chronic Pain, Phobia, Panic Attacks, Obsessive Compulsive Behavior (OCD), Depression, Anxiety, Sleep problems, Grief & Bereavement, Relationship issues, and Early Childhood trauma / neglect. She is informed by the latest studies in neuroscience and uses a variety of therapeutic modalities based on these discoveries. She draws from approaches such as: CBT, DBT, Clinical Hypnosis, EMDR, Narrative Therapy, Mindfulness, Guided Imagery, and Art Therapy. Irit brings an empowering and compassionate approach to the counseling process. She gives you the tools to reduce and even eliminate emotional and physical pain, and increase your ability to stay connected to yourself and others so you can live a fulfilling life.